how is your weekend going so far, lovelies? mine has been extremely laid back, hung out with friends on friday night and hopped around lincoln park yesterday before i spent the second half of the day watching frozen. don’t judge until you watch, i promise. is it bad that i want one of the character’s hair? maybe. here’s to hoping this sunday passes slowly with lots of reading and tea involved. enjoy! how a mom and daughter make paper dresses – best ever. need to try this hair trick. real deal pajama jeans being rocked, nailed it. reading this recipe warms my soul, on the list for this week. 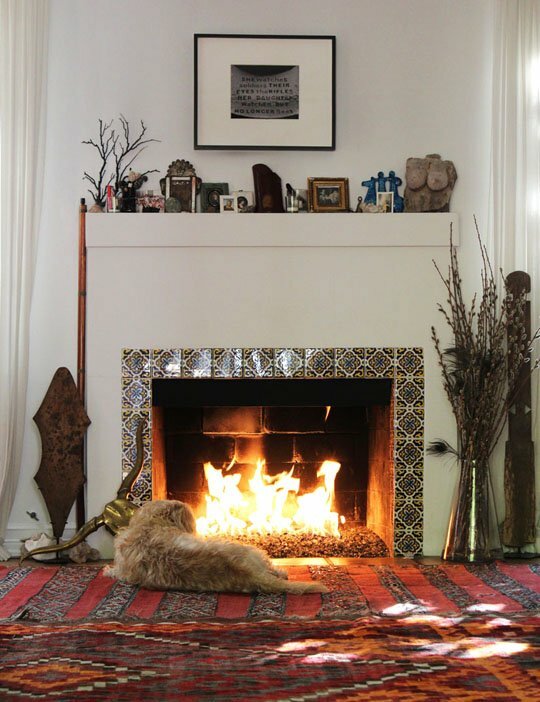 katie arends’ home tour via the everygirl, eclectic heaven. as an uber addict, i really enjoyed this article. great ideas for any winter ruts. well, the release of this will indefinitely make me less productive. read this and now reading this, jojo moyes gets me. my leopard craze lives on.